Another week has passed and here we are, just 20 days until Christmas! 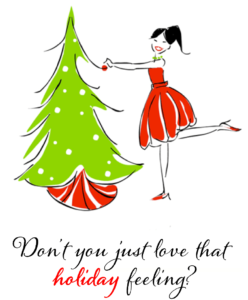 I don’t know about you, but I am a total sucker for all things holiday. I adore the snow, I love the lights, the warmth, the coziness and especially the time spent with family and friends. I hope you all enjoy the holiday season and are looking forward to 2019! I just know it….it’s going to be a great year! Recently, I found myself once again looking through the Slate Roof Quarterly archives. SO much useful, invaluable information was packed into the quarterly newsletter that used to be mailed out between 1999 and 2006. This one, from June of 2000, talks about the testing and classifying of roofing slates. It was written by our President & founder, Brian Stearns, who, besides being the owner of Alpine SnowGuards, got his start as a slate roofing contractor. 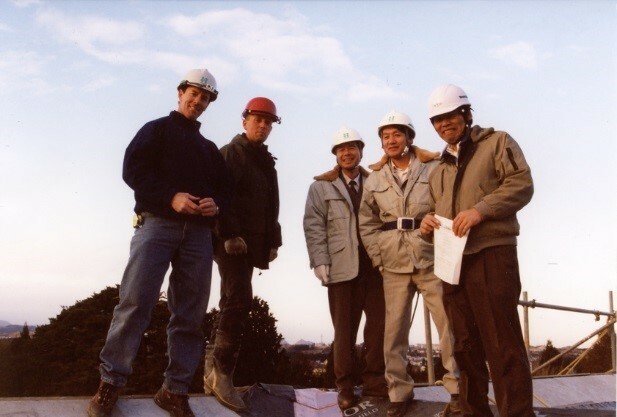 He even consulted on slate roofing jobs in Japan! That’s him on the left in the photo below. 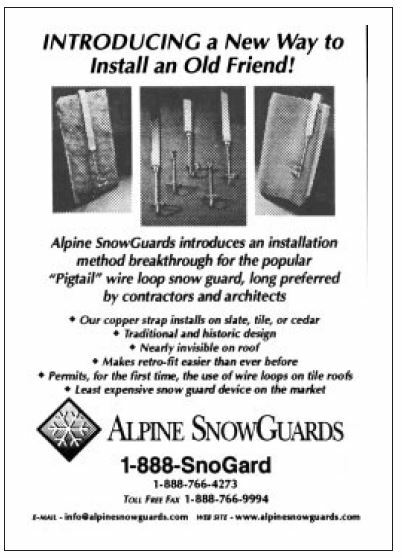 The things you find when you dig into archives….even found this old ad of ours, showcasing our “pigtail” wire loop snow guards for slate roofing. Neat, huh? Was the slate tested before it was installed? (Service life is defined as a period of time over which the slate material may be expected to require no repair or replacement due to weathering). The next question might be: what is this test telling me? Presumably this test is to be performed on new roofing slate. Let’s assume that a new sampling of roofing slate is tested and the results come back showing that it is an S-1 grade. This means that it should provide a service life of “over 75 years.” Now let’s assume that the slate is installed using galvanized steel flashings and 60 years later the flashings need to be replaced. During the flashing evaluation process, the person doing the planning decided to test the slate again to determine how much life there is left in the slate. The test results come back showing the slate is an S-3 grade, meaning that it has a service life of 20-40 years. Considering that the slate has been on the roof 60 years and the slate now tests as S-3, with a service life of 20-40 years, then it would stand to reason that indeed the slate performed for the originally stated “Over 75 years”. However, this previous scenario, when interpreted literally, is creating serious confusion in today’s slate roofing business. The point is, that if the roof is more than one year old it could test as an S-2 grade now (service life of 40-75 years) and still have been an S-1 quality (over 75 years) when it was new. To take this a step further, if the slate is tested when it is one year old and the results show a slate of S-2 quality, does that mean that 40 years from the date the slate could have reached the end of its service life? This would indicate that S-1 roofing slate, if not tested until one year after it is installed on a roof, could arguably reach the end of its service life at 41 years. If this is the case, then it could also be argued that the S-1 grade slate if not tested for one year after it has been installed, could fall into the S-2 ride (20-40 years). I have provided this illustration to make a couple of points. It would appear the ASTM testing for roofing slate must be done when the slate is new if it is to be used to determine the quality of the product being provided. Based upon the definitions of service life provided in the ASTM test, S-2 slate and therefore S-3 slate may have been of S-1 quality when it came out of the ground. The ASTM test for slate that is already installed on a roof can only be of value to determine the estimated service life of the material from that point forward. Who can say without proof what the quality of that material was when it came out of the ground? The second point is that of all the slate roofing projects I have looked at, I can think of one that failed due to the quality of the material. All of the other failures were a result of poor workmanship or structural problems. We hope this is helpful to all who read it. You can check out all of our snow guards that were specifically designed to be installed on slate roofing! 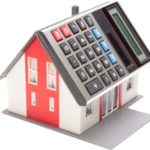 And remember, for an immediate layout & project pricing, check out our Online Project Calculator!